India is a state of diverse cultures, religions, traditions and beliefs. The country is home to millions of people who exhibit diversity in their thoughts, lifestyles, worship and work but are united in one spirit in the love for their country. A journey through India is a revelation for many and this is one of the main reasons why many foreigners flock to India to explore its myriad colours. The distinctively distinguishable customs and traditions of India give it a unique hue. From the Himalayas in the North, to the waves of the Indian Ocean in the South, India has a million different colours. The dance, language and food of its 28 eights states and Union Territories differ distinctively from each other. The Telugu cuisine is characterized by its spicy and tangy curries and pickles. Being the largest producer of chilies and rice in India, the food in the state is predominated by rice based dishes with a liberal use of chilies and other spices. Lentils find a great use in the cuisine too. Some of the traditional dishes of Andhra Pradesh include pesarattu, pulusu, kaarapoosa, ariselu, pappucharu, rasam, vepudu etc. The dance forms of Andhra Pradesh reflect the cultural heritage of the state. They differ in costumes, types and the musical instruments used. Kuchipudi: Kuchipudi is one of the most famous traditional dance forms of Andhra Pradesh. It gets its name from the name of the village where resident Brahmins practiced this art form. The dancers sway to the music and tune of a singer who is accompanied by musicians playing mridangam,violin, flute and tambura. Telugu is the official language of Andhra Pradesh. However, there are many local dialects that are also spoken in different parts of the state. Some of these dialects include Waddar, Chenchu, Savara, Golari, Kamanthi etc. Telugu has a strong reflection of Sankrit influence as it has absorbed tatsamas from Sanskrit. Momos are a common food item in Arunachal Pradesh. Rice along with fish or meat and a lot of green vegetables form the staple diet of people in Arunachal Pradesh. In addition, Thukpa is a common meal item among the Monpa tribe of the state. Rice beer is a common alcoholic beverage among the people of this hilly state. Bardo Chamm: This dance form depicts the fight between good and evil. There is an interesting folk lore behind this dance form. Dancers wear masks and dress up as animals and dance to the tune of drums and cymbals. Arunachal Pradesh is believed to be one for the linguistically richest states in the country as it home to possibly at least 30 distinct languages and innumerable dialects thereof. Some of the common languages spoken in the state are Tani, Bodic, Idu, Miju etc. Hindi and English are the official languages used in Arunachal Pradesh. Asssamese cuisine is a beautiful blend of the techniques used in cooking by people living in the hilly regions and those living in the plains. While fermenting is a standard while cooking food among people in the hills who do not have access to fresh ingredients, people in living in the plains spice up meals with fresh fish and vegetables. A traditional Assamese meal begins with a khar and ends with a spicy and tangy tenga dish. Betelnut and paan conclude the meal. 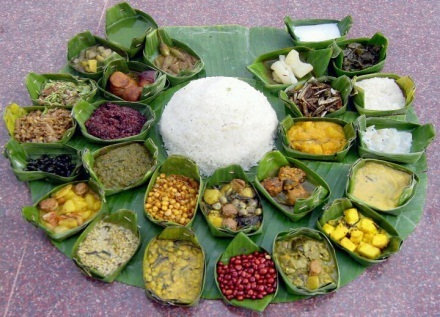 Some of the traditional dishes of Assam include pura maas mankho, dheakiyasak, pitika etc. Bihu: This is related to the harvest festival called Bihu. 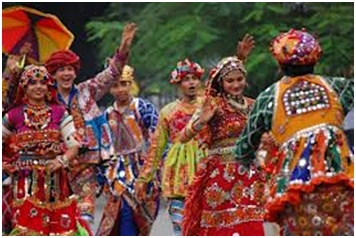 Young men and women dress up in colourful clothes and dance to the tunes of dhol, pepa or gagana. Jhumur Nach: This is performed by tea garden workers to the beat of a drum called ‘Madal’. Bagurumba: Performed by the Bodo tribal community, this dance is performed by girls alone. Language The people of Assam speak the language Assamese. It is an Eastern Indo-Aryan language and is also the official language of the state. Bihari cuisine lies somewhat between North and East India. The meals are predominantly vegetarian as there is a strong influence of Buddhism and Hindu values of non-violence on the region. However, due to the presence of many rivers abundant in fresh water fish, there are sections of the population that eat non-vegetarian food items. Some of the most popular Bihari dishes are Chokha, Sattu Paratha and Bihari Fish Curry. Jhijian Dance: This a form of folk dance of Bihar where women sing and dance to appease Lord Indra. Jat Jatin Dance: This is performed by a couple and the dance depicts the hardships and life experiences of an emigrant couple. Kajari Dance: The dance is performed during the rainy season. Young girls dance like a peacock in this form of folk dance. Bihari is the collective name given to the different languages spoken in the region. Some of the common dialects spoken in Bihar include Maithili, Bhojpuri, Magahi, Angika etc. Hindi is the official language and also the medium of instruction in many schools in Bihar. The cuisine of Chhattisgarh is mainly based of maize, wheat and jowar. The people in the state are fond of tangy meal items and sweet dishes. This makes jalebis, petha and rakhia badi popular food items in the state. The food can be categorized into two types –tribal and non-tribal. Panthi: The dance is performed on the birth anniversary of Guru Ghasi Das and has a lot of religious significance. Raut Nacha: Performed by Yadavs or Yaduvanshis, this dances resembles the raas leela performed by Lord Krishna with his gopis. Chhattisgarhi is the official language of the state.The language like Hindi is written in the Devanagri script and has a strong influence of the Munda and Dravidian languages. Goan cuisine is well known for its tangy and unique taste. Coconut milk, rice and seafood form the main parts of a Goan meal. The food still has a strong Hindu influence and shows many aspects of the impact that the Portuguese had on its food. Kokum is widely used in cooking Goan food. 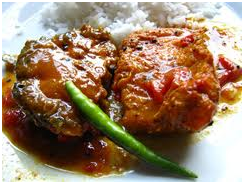 The Goan fish curry is a very popular dish in the state. Dekni: This is a traditional dance form which is performed by women. The music exhibits influences of both the East and West and so is traditional and contemporary at the same time. Kunbi: This dance form depicts the time before the Portuguese conquest of the region. It is mainly a social dance and is devoid of any religious connotation. Gofftoo: It is a form of peasant dance and is performed after the harvest season. The official language of Goa and the Konkan region is Konkani. Portuguese is still spoken in these parts by the elderly population of Goa. Marathi is also spoken in some places. Gujarati cuisine is predominantly vegetarian due to the influence of Jainism and traditional Hindu values. There are four main regions in Gujarat- North Gujarat, Surti Gujarat, Kachch and Kathiawad- which have their own distinctive styles of cooking. A typical Gujarati thali consists of roti, dal, rice and vegetables. Some dishes are a beautiful blend of sweetness, saltiness and hotness. Garba: Garba is a popular form of dance that is performed during the nine-day festival of Navratri. A picture or idol of Goddess Shakti or a lamp is placed in the centre and dancers stand in concentric circles for the performance. Dandiya Raas: Dandiya Raas was traditionally performed by men to the tune of traditional instruments. Howevere, these days the dance form has evolved and men and women are seen dancing to foot-tapping numbers during the Navratri festival. Gujarati is the official language of the state. Gujarati is an Indo-Aryan language and according to studies it is the 26th most spoken native language in the world. The language owes its origin to Old Gujarati which gave birth to the modern day Gujarati and Rajasthani languages. The food of Haryana is true to its soil. 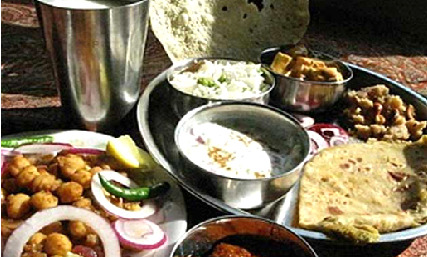 The diet of the people of Haryana mostly consists of rotis and dairy products. Dairy products such as butter and ghee are prepared at home by women and are relished with every meal. Lassi is a commonly prepared beverage that people in Haryana drink. Some of the popular items of the Haryanvi cuisine are Pethe ki subji, teet ka achar, churma, kheer, malpaus etc. Saang Dance: This dance is performed in groups. Usually comprising of a group of 12, men dress up as women in this dance to play the roles of female characters. The dance is based on folk tales or religious stories. Chhathi Dance: This is performed on the birth of a male child. Women perform this dance on the sixth day of the birth of the child. Usually performed at night, the dance depicts romantic stories. The language commonly spoken in this region is Haryanvi. The language is an Indo-Aryan language and is quite similar to Braj Bhasha. It is also considered to be a dialect of Hindi. The cuisine of Himachal Pradesh is quite similar to the rest of North India. However, the preference of the people for non-vegetarian foods makes it a little different from the rest of North Indian foods. Red meat and wheat bread predominate the cuisine of Himachal Pradesh. Some of the popular dishes of Himachal Pradesh include Madira, Pateer, Til Chutney etc. Kinnauri Nati: A beautiful folk dance which is usually a mime and depicts the sowing of crops and the ensuing festivities. Namagen: This is usually performed to welcome the autumn season. The costumes of the dances of this folk dance is particularly interesting because of the variety of colours and women dancers were extremely beautiful silver jewellery. Hindi is the official language of Himachal Pradesh. However, in some parts of the state people still speak the Pahari language, which has many dialects and sub-dialects too. Punjabi is also widely spoken in the state. The Kashmiri cuisine places great emphasis on meats. Even early spiritual texts have mentioned that the people of this region were heavy meat eaters. The most popular non-vegetarian food item in this region is mutton and is cooked in as many as 30 different ways. Kud: It is basically a ritual dance which is performed to appease the gods. Usually performed at night, dancers sway to the tunes of instruments such as the Chhaina, flute and drums. Dumhal Dance: This is a much popular form of folk dance. Only the men of the Wattal are allowed to perform this dance. The most interesting aspect of the dance is the colourful costume of the dancer. 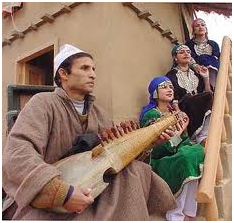 Kashmiri is the most popularly spoken language in the region. Hindi, Urdu and English are also widely used by people to communicate in J&K. The authentic cuisine of Jharkhand is not readily available in restaurants. The original recipes can be enjoyed only on a visit to a village. The food consists of both vegetarian and non-vegetarian items. The food is prepared with minimum use of spices and vegetables. Chhou : The Chhou dance is a form of tribal dance. Dancers wear masks made of paper mache and perform on stories from mythology. The colourful costumes and jewellery are the special attraction of this dance form. Although Hindi is the official language of the state, many other languages and dialects are used by the people living in different parts of the state. Such languages include Santhali, Mundari, Kharia, Ho, Bhumiji etc. Karnataka cuisine is a wholesome mix of all the essential nutrients needed for the body. The carefully balanced meal consists of rice, lentils, vegetables and is, surprisingly, started with a dessert called Payasam. Some of the popular dishes of Karnataka include Bisibele bhath, Holige, Vangi Bath, Uppittu etc. Kunitha: This is a ritualistic dance performed by the men of the shepherd community. Komb-aat: The Komb-aat is also a ritualistic dance which is performed within the temple premises. The dance depicts stories from mythology. Kannada is the official language of Karnataka. Other languages such as Tulu, Konkani, Kodava and Urdu are also spoken in the state. The cuisine of Kerala is distinctive in taste, aroma and flavour. The preparation techniques differ along the length of the state. 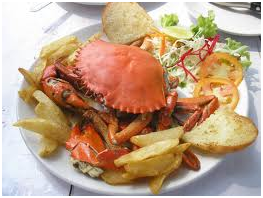 Seafood is highly popular in the coastal regions of the state. Coconut and coconut oil form an important ingredient of Kerala cuisine. Kathakali: A highly dramatized dance drama which depicts stories from mythology. This dance form is particularly important due to the make-up and costumes used by the artists. Malayalam is the official language of the state. However, Hindi, English, Tamil are the other languages that are spoken in the region. The cuisine of Madhya Pradesh includes both vegetarian and non-vegetarian items. While the people of Northern and Western Madhya Pradesh keep their food centred around wheat and meat, the people of Southern and Eastern MP keep their food centred around rice and fish. Some of the most popular dishes of Madhya Pradesh are rogan josh, biriyani, pilaf etc. Tertali: This form of dance is usually performed by women of the Kamar tribe. Dancers cover their head with a veil, tie cymbals on different parts of their body and dance to the tune of a Manjira. Charkula: Performed on the third day after Holi, Charkula is presented by women who place lit lamps on their head and dance to appease Lord Krishna. Hindi is the official language of Madhya Pradesh. Other languages such as Marathi, Malvi, Nimadi, Bundeli etc are spoken in different parts of the state. Food Marathi cuisine presents a mixed bag of flavours and tastes. The cuisine has dishes that range from mild to spicy dishes. Vegetables, rice, wheat, jowar etc form the main components of the Maharashtrian diet. Some of the popular dishes are bata vada, puran poli etc. Dance Lavani: Lavani is a very popular folk dance form that is performed by women wearing sarees. The beats are quick and the dance form is noted for its powerful rhythm. Marathi is the official language of Maharashtra. However, due to high levels of immigration other languages such as Hindi and English are also use widely. Manipuri cuisine is centred around rice, vegetables and fish. The cuisine is very seasonal and depends on the kind of vegetables available. However, Manipuri cuisine differs from the food of rest of India due to the use of various herbs and roots that are endemic to the region. Also, there are certain vegetables too that are found only in this region and cannot be found anywhere else. While most food items are cooked using spices and herbs, there are certain items such as fermented bamboo shoots that require an acquired taste. Manipur or Meitei language is the state language of Manipur. However, other dialects are spoken in different parts of the state. English is widely used in Manipur. The cuisine of Meghalaya is not only distinct from the rest of India but also stands apart from the cuisine of the rest of North Eastern states. The meal is centered on rice and spicy non-vegetarian dishes. People domesticate animals for food and commercial purposes. Some of the popular food items of Meghalaya include Ki Kpu, minil songa, sakkin gata etc. Laho Dance: is one of the most popular traditional dance forms of Meghalaya. This is performed by a young girl who dances with two young men , hand in hand, as a person recites beautiful couplets on love. 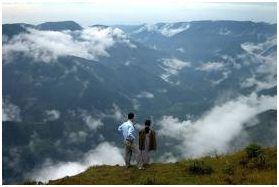 The main languages of Meghalaya are Garo and Khasi. English is the official language of the state. Nepali is also widely used by the people of Meghalaya. The cuisine of Mizoram is quite distinct in terms of style of cooking and ingredients used. While the cuisine has both vegetarian and non-vegetarian dishes, Mizos use non-vegetarian ingredients even in their vegetarian dishes. The staple food item, like most regions in India, is rice. Fish is quite popular in this region. The Mizo cuisine is quite healthy as very little oil is used while cooking. Cheraw Dance: Cheraw dance is a very popular form of dance that is seen in Mizoram. Men hold bamboo poles to the ground and move them in a pattern according to the rhythm played on drums. Women jump through the gaps in these poles to the beat. Mizo is the most widely spoken language in Mizoram. Mizo language is also called Lushai. Other languages prevalent in Mizoram are Pawi, Paite and Hmar. The people of Nagaland have the most unique way of cooking their food. Their food is dried, smoked or fermented. The meal in a Naga family consists of rice, boiled vegetables and a meat dish. The food dishes are generally boiled. Smoked meat is a preferred food dish. Different kinds of chillies are available in Nagaland and these are liberally used in the food items to make them spicy. Chang Lo: Chang lo is a kind of a victory dance which is performed on special occasions and important festivals such as Poanglem, which is a three day harvest festival. There are different languages in Nagaland which vary according to the tribes. There are about 20 different dialects, but these languages do not have a script of their own. The cuisine of Odisha is quite similar to that of West Bengal. The food is spicy and uses the quintessential ginger-garlic paste that is used in Bengali food. Often food is cooked in mustard oil. The sweets made of chenna are quite famous in Odisha. Gotipua: This is a part of the rich cultural heritage of Odisha. This dance is performed by young boys below the age of 14. This dance was performed in the temples of Odisha to appease Lord Jagannath. Odissi: This is a beautiful dance form which was practiced by the devadasis of the temples of Odisha. The dance form is characterized by the beautiful costumes, graceful movements and stunning jewellery used by the dancers. Odiya is the state language of the state. However, languages such as Hindi, English, Bengali and Telugu are widely used languages in the state. 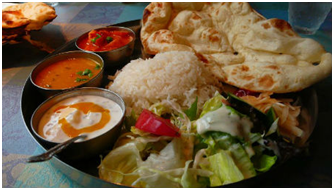 Punjabi cuisine is one of the most delicious cuisines in the country. The food is characterized by strong flavours and aroma. Although the cuisine includes both vegetarian and non-vegetarian dishes, the meat dishes are quite popular not just in Punjab but all throughout the country. Dairy products are also widely used in the Punjabi cuisine. 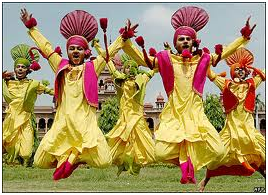 Bhangra: Bhangra is one of the most popular traditional dance forms of India. It is usually performed during the harvest season and is noted for the colourful costumes and peppy music. Punjabi is the state language of Punjab and is also the 10th most widely spoken native language in the world. Hindi is also widely spoken in Punjab. 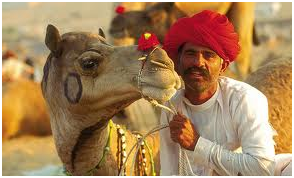 The Rajasthani cuisine reflects the war like lifestyles and the arid atmosphere of the region. The food is prepared in such a manner so that the food did not have to be reheated. Ghoomar: The Ghoomar dance was traditionally performed by the women of the Bhil tribe of Rajasthan. The dance is performed women who wear large swirling robes and sway to the tunes of men and women singing. The beautifully coloured clothes and the jewellery of the dancers are the special features of this form of dance. Rajasthani is the state language. It has descended from Old Gujarati. Sikkimese cuisine is quite popular in the whole country. Momos and noodle stalls are spread all over the country and people from all backgrounds are fond of Sikkimese cuisines. Some of the most popular dishes of the Sikkimese cuisine are Gya thuk, Phagshapa, Thukpa etc. Singhi Chham: This is a traditional dance form wherein dancers wear masks to resemble the snow lion which is the cultural symbol of the region. The music is provided by beating cymbals. The Sikkimese language is also called Tibetan, Bhutia or Dranjongke. The language is spoken by the Bhutia community of Sikkim. Tamil cuisine is another popular Indian cuisine. Idlis, dosas and vadas are some of the popular Tamil Nadu dishes that are relished by most people of India. The dishes are usually rice and wheat based and are spicy and tangy. Bharat Natyam: This is a classical Indian dance form and is reconstruction of the traditional dance form of devadasis practiced in the temples of Tamil Nadu. 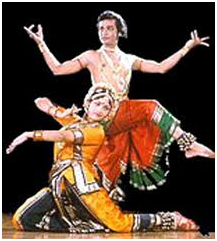 The dance form is named after Bharat Muni who wrote Natya Shatra. Language Tamil language is one of the Dravidian languages of India and has been declared as a classical language by the Indian government. Besides Tamil Nadu, it is also spoken in the neighbouring states of Puducherry, Kerala etc. It is also a major lingua franca in the Andaman and Nicobar islands. The Tripuri cuisine is predominantly non-vegetarian. However, vegetables are added to such dishes to make them more wholesome and nutritious. Tripuri cuisine has some very peculiar and typical ingredients such as the Berma, which is dried and fermented fish. Due to the huge settlements of Bengalis in Tripura, the cuisine is more Bengali than tribal. Hojagiri: Hojagiri is the traditional dance of the Reang tribal community of Tripura. Young girls dance on an earthen pitcher and balance an object on their head. The music is provided by beating of cymbals. The main languages of Tripura are Bengali and Kokborok. There is a large settlement of Bengalis in Tripura and a majority of the population in the cities speaks Bengali. The native tribals of the state speak Kokborok. The cuisine of Uttar Pradesh is mainly of two types-Awadhi and Mughlai. The cuisine consists of both vegetarian and non-vegetarian dishes. The cuisine of Uttar Pradesh is also famous for its kebabs, biriyani and different mutton recipes. The Mughlai cuisine is influenced by the Mughal era and the Awadhi cuisine is influenced by the cuisines of Punjab and Kashmir. Some of the most popular dishes from the Uttar Pradesh cuisine are chaat, samosa and pakodas. Charkula dance: This is a form of traditional folk dance which is performed women. The performers usually cover their faces with a veil and carry a multi-tier arrangement of lamps on their head. There are about 108 lit lamps in this arrangement. The performers dance to the rasiya songs of Lord Krishna. Hindi is the official language of the state. However, many other languages, including Hindi, and their dialects are spoken in different parts of the state. The food in West Bengal has the finest blends of both vegetarian and non-vegetarian dishes. This state is famous for the variety of Maach (fishes), served with various flavours. Hilsa and Chingri fishes are the most loved fishes in the state. West Bengal is also known as the ‘land of Maach & Bhaat’. West Bengal is also famous for the variety of sweets. “Rasgulla’, is the most famous sweet of this state. The Bengali dance has the shadow of folk tradition, influenced from tribes and the Indian tradition. The famous dances in West Bengal are Chau dance, a rare form of mask dance and the Gaudiya Nritya, the Bengali Classical. Various other forms of Indian classical dances have their origin in West Bengal. Bengali is the most common and widely spoken language in West Bengal. Other languages spoken are Hindi, Santali, Nepali, Urdu and Oriya. People of Uttarakhand mostly prefer vegetarian food. However, non-vegetarian lovers can also be fund in different parts of the state. The Uttarakhand food has diverse ingredients, flavours and colours. Pulses and rice are widely eaten. The typical Uttarakhand dishes include Chainsoo, Kafuli, Jholi, Phaanu and Roat. The famous desserts include Kesar Halwa, Gulgula, Arsa and Jhangora Ki Kheer. When it comes to traditional dances, Uttarakhand is known for having unique and diverse forms of dances. The dance forms in Uttarakhand are not similar to that of classical dances in other states. It is rather simpler and beautiful to see. The most popular dance forms of Uttarakhand are Chancheri, Chhapeli, Bhotiya, Barada Narti, Jhora, Choliya, Langvir, Pandav, Jhainta and more. Garhwali and Kumaoni are the most commonly spoken languages in the hilly areas of the state of Uttarakhand. However, Hindi is widely spoken in the plains. Uttarakhand is the only state in India with ‘Sanskrit’, as one of its official languages. If you are in Telangana, you can’t afford to miss the Telangana cuisines. Telangana Food is known for its unique flavours and essence, which is popular all around the globe. The ‘Telanganai Biryani’ is the most loved cuisine, which is highly demanding in different parts of the planet. Other must had dishes in Telangana are Pathar-ka-Ghosht, Nahari and Haleem. Telanganai Cuisine has sweetness as well. The ‘Telanganai Kheer’ and ‘Seviyon-ka-Mettha’ is much popular. The Perini is the most popular dance forms in Telangana. The Marfa dance was also introduced in Telangana only. It is widely popular in the Arab countries, as well. Telugu is the official and most commonly spoken language in the state of Telangana. Urdu, is the second most commonly spoken language and English is also used in different parts of the state.